FullSoul and the Co-op Student of the Year & International Co-op Of the Year Awards! Christina has always been dedicated to her work, whether it was for academics or for widely known institutions and organizations such as St. Michael’s Hospital, Save the Mothers or FullSoul. Thus, it is only fair that she is rewarded for her hard work and determination. As a part of the Health Studies co-op program, she participated in four different co-op placements, first three placements lasting four months, while the final placement lasted eight months long. Throughout these co-op placements, she has shown strong work ethics, commitment and achievements. The University of Waterloo is known as “the world’s leader” for its co-operative education program, which consists of six faculties with approximately 31,000 undergraduate students. The program annually hosts a Co-op Student of the Year award and only one student from each of the six faculties have a chance to win this award. Thus, students with exceptional contribution to their work term as well as community involvement and academic excellence are recognized. Soon after completing an outstanding work term at St. Michael’s Hospital as a project manager, Christina was honoured to be the Co-op Student of the Year representing the Applied Health Science Faculty. This marks as one of the early stepping-stones of her career. Another accomplishment was just around the corner while finishing her last year at the University of Waterloo. She began teaching at Ugandan Christian University through Save the Mothers, an organization seeking to improve maternal health in Uganda. 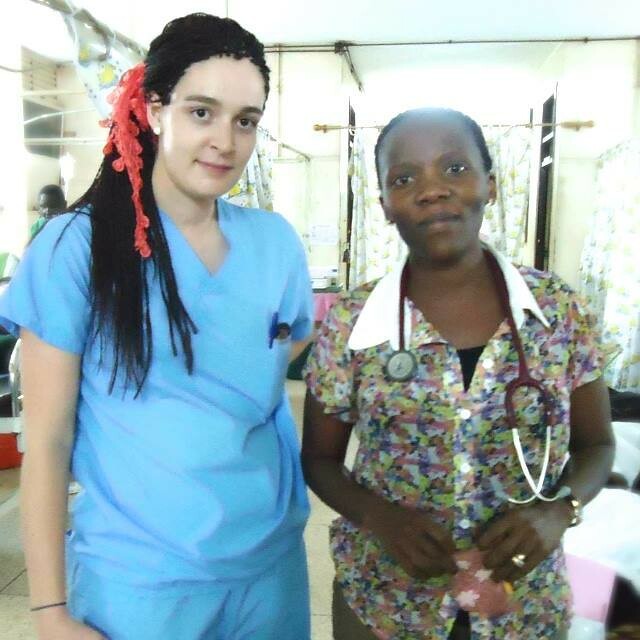 While teaching, she was given the opportunity to observe surgical operations in the maternity ward at a nearby hospital. But before she could wrap her head around the idea, she delivered 200 babies in addition to raising maternal health awareness in Uganda. This ever-changing life experience aspired Christina to co-found FullSoul and as a result, was then selected for the International Student of the Year award from WACE (World Association for Cooperative Education) as well. Amazing accomplishments, and such an honour for FullSoul to be recognized in such a way- we’re excited about the continued momentum of support and excitement surrounding the FullSoul message and cause!